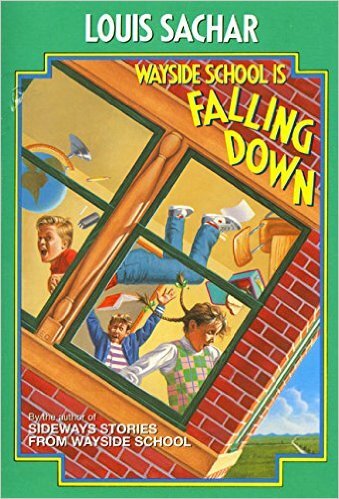 The second collection of wacky tales from wayside school made me laugh even more than the first. While the humor in these middle reader books will appeal most to kids, adults will still appreciate the satiric absurdity. The book opens with one of the stories that stuck with me ever since I first read these books back in elementary school. Chapter 1 follows the yard teacher Louis’ (Did you catch that?) valiant struggle bringing a heavy package to Mrs. Jewls all the way on the thirtieth story and ends with the revelation of the package’s contents as well as Mrs. Jewls’ agenda for said contents. I’m smiling again just thinking about it. My other favorites include “Homework,” “Kathy and DJ,” “What?,” and “The Substitute.” I feel like I went to school with kids from “Homework” while “Kathy and DJ” provides another sweet if silly moral about a positive attitude. “What?” is actually told backwards, so I suggest flipping to the end of the chapter and starting from there. Last the namesake substitute in “The Substitute” uses the children’s own cleverness against them to trick them into actually studying. Another fun collection of hilarious stories from wayside school. Perfect bedtime reading for younger readers, since the chapters each tell a short but complete tale. 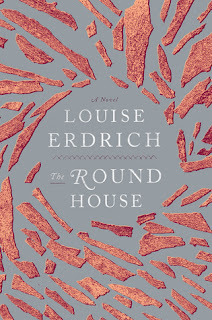 Shame on me for waiting so long to read a book by Louise Erdrich! I heard her work praised for years, but only recently read this one upon insistence by a fellow reader. Now I already have four more books by Erdrich sitting on my bedside table. Above anything else, let me say that the writing is exquisite. 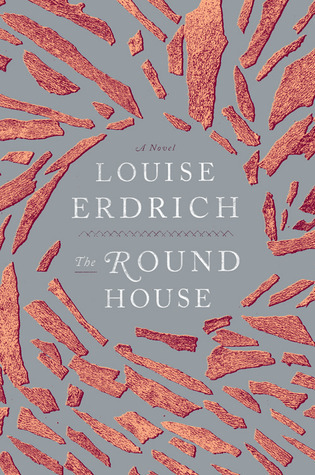 I’m talking about the kind of stunning ability with words that suggests Erdrich could write about what she ate for breakfast and I would treasure every sentence. 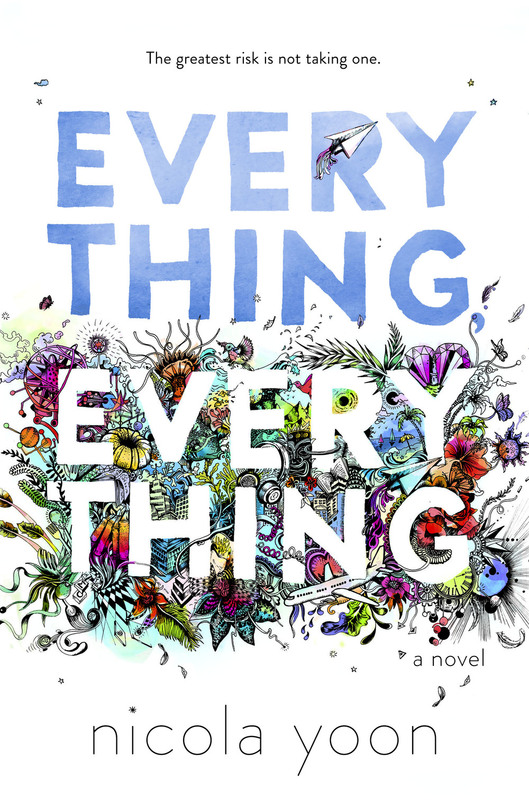 Thankfully, this isn’t a book about what Erdrich eats for breakfast, though. The plot and characters have their fair share of substance as well. I hesitate to describe the plot in too much detail, because Erdrich paces the story so wonderfully I don’t want to ruin anything. I went into the book with close to zero preconceptions regarding its content and wouldn't want to deprive anyone of the same experience I had as I followed the unfolding of a family trauma. Suffice to say that this is a story of a crime committed within an American Indian community. The novel explores both the family impact as well as the tribal politics that can complicate bringing criminals to justice. At first my only criticism was that the narrator, a thirteen-year-old boy, sounds far too mature for his age. While I “oohed” and “ahhed” over many striking turns of phrase, I didn’t buy them as fitting for a pre-teen’s voice. However, that concern soon proved a moot point, because we learn he’s now a much older man reflecting back on this difficult period of his life when a terrible crime almost crumbled his happy family into debris. I do have one remaining criticism of the book: the end. The novel finishes with a climatic finale that cuts off without any denouement, clarification, or resolution. That being said, I want to call attention to how rare it is that I read a book where I have only one single negative thing to say. For the writing alone, this book is a rare find. The characters feel as though they live and breath beside you as they lead the reader into their world: their homes, their families, their problems. An excellent book group selection, a must-read for anyone studying writing as a craft, and a gripping story even for some who might not think it their taste at first description. I have already started another book by Erdrich and have three more lined up after that. 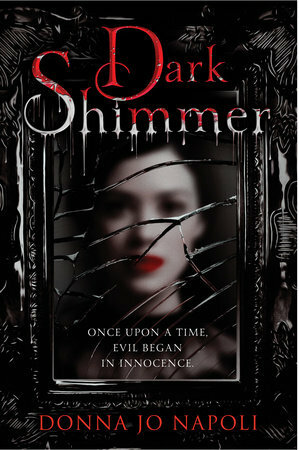 With DARK SHIMMER, Napoli twists a familiar fairy tale. 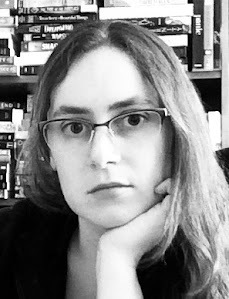 She introduces depth to usually simplistically motivated characters and presents less fantastical explanations for well-known plot developments. The story follows a young girl in renaissance Venice, a girl ostracized due to her appearance. I’m being vague on purpose, since the blurb on the back of this book deliberately avoids much detail - including which tale this story retells. If you want more detail, see the next paragraph. If you think laying out which story this retells and some of specific twists are spoilers, skip the next paragraph. Dolce grows up thinking of herself as an ugly monster. She lives on a small, isolated island and she looks so different from everyone there. Deformed, she thinks. She finds solace and purpose learning the trade of mirror making from a local expert. When tragedy strikes, she flees her home and finds herself in what feels like a different world. Everyone looks more like her and most everyone prattles on about her remarkable beauty. At first she thinks they mock her until she learns that her build is average, she grew up among dwarves, and her loveliness is nothing close to average. If you haven’t caught on, DARK SHIMMER retells “Snow White.” In this version, Dolce has good intentions, but she works with quicksilver when making mirrors and it’s the quicksilver, not anything evil in her nature, that turns her mind paranoid and sinister. I occasionally wanted a slower development before major transitions, primarily when Dolce abruptly runs away from home and when she first tries to rid herself of her stepdaughter. For the most part, though, I admired the gradual shift in mindset. I enjoyed following Dolce’s decent from affectionate new mother to vain madwoman. The trouble with fairy tale retellings is always the same: the story can be familiar but it needs to be new, too. It needs to be retold enough. At times the plot didn’t twist as much as I hoped in DARK SHIMMER. The differences mostly revolve around the historical setting and the detailed mirror making addition. That being said, Napoli brings characters that often strike me as flat and boring in “Snow White” to life with very basic, human motivations but complex, layered personalities. I also adored that she made this more a tale about madness than magic. Eighteen-year-old Madeline has a rare autoimmune disease. As she puts it, “Basically, I’m allergic to the world.” So she stays in her house with only her mother and her nurse (and her books) for company. She’s an admirably positive girl, though, who finds plenty to love even within her small world. Until it starts feeling too small. Mostly because there isn’t enough room for the boy next door. 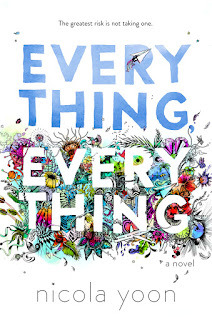 EVERYTHING, EVERYTHING is one of those rare treasures of a story that hooked me from the first page, held me riveted for the entire novel, and left an emotional echo in my mind ensuring I never forget this one. I liked Madeline from the start. She exemplifies a quiet kind of strength, the strength of spirit. She lives such a simple, restricted life and yet she rejoices over everything she can from re-reading a favorite book to movie night with her mom. Both her mother and her nurse talk about their fear that someone with Madeline’s limiting illness might one day succumb to depression. Instead Madeline approaches the world with her frank wit, acknowledging her misfortunes without giving in to tempting self-pity and instead she moves straight on to constantly recognizing the ways she’s blessed. This is a very quick read. It looks like a short book: slim, 310 pages. It’s even shorter than it looks, though, due to incredibly short chapters. The long ones are a few pages with the shortest being a few sentences. The book features unexpected twists here and there, including a big, well-handled one that caught me entirely unawares. Occasionally, some plot developments feel slightly contrived, but it keeps the story moving along at a brisk pace. I did find myself frustrated, though, with mentions of past pain that never earn a full explanation. The mother and nurse reference a summer Madeleine did almost fall prey to despair as well as concern when new neighbors arrive coupled with comments like, “It won’t be like last time.” While I can make guesses based on the information provided, I wish we learned exactly what they’re talking about at some point. The ending also didn’t entirely satisfy me. Don’t misunderstand me. It is a good ending and I liked it. I’m saying it didn’t entirely satisfy me, not that it didn’t satisfy me at all. My complaint is that the end hints at resolution more than actually letting the reader witness resolution. I hope to see this one on the bestseller lists soon. The book certainly deserves every bit of praise it receives.